The American Center for Law & Justice is calling on the state of Ohio to revoke the medical license for the former Cleveland Clinic doctor who was caught threatening to give Jewish patients the wrong medications. 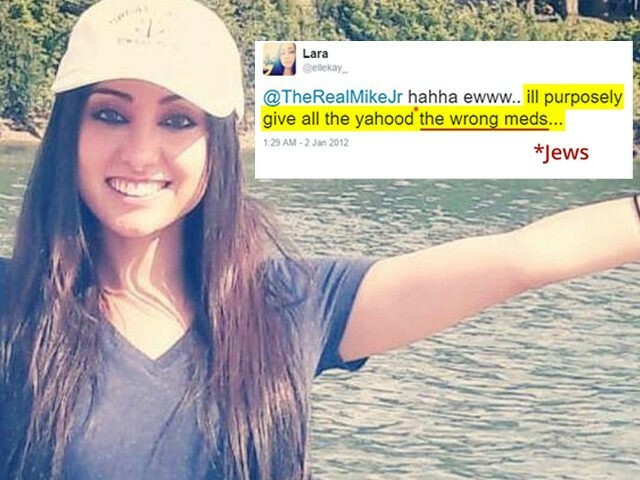 A formal letter of complaint has been issued by the American Center of Law & Justice (ACLJ) to the Ohio State Board of Medical Examiners, in response to former Cleveland Clinic resident doctor Lara Kollab, who was recently exposed for making a wide variety of anti-Semitic statements on the internet. In Kollab’s social media posts, the doctor compared Jews to “dogs” and “Nazis,” expressed having no sympathy about the Holocaust, invoked Allah to kill Jews, and threatened to give Jewish patients the wrong medications, among many other statements. While Kollab may be a former employee of the Cleveland Clinic, she is still a licensed doctor in the state of Ohio and will remain so until June 2021, unless the Board decides to take action against her. The ACLJ is joined by the Zionist Organization of America (ZOA) in the call for the Ohio Board to revoke Kollab’s medical license. “We hope that the seriousness of the situation is apparent enough on its face to move the Board to promptly permanently revoke Dr. Kollab’s license, for the safety of all Ohio residents,” states the ACLJ in its letter to the Board. “No person anywhere should have to fear that in their moment of crisis, as they seek medical attention, they might be discriminated against and even harmed for their beliefs,” adds the ACLJ. The Cleveland Clinic told Breitbart News that Kollab’s “departure was related to those posts and she has not worked at Cleveland Clinic since September.” The clinic is now considering the notion of checking social media accounts belonging to prospective employees.